This image shows an example of the pillars that surround the star cluster Westerlund 2. 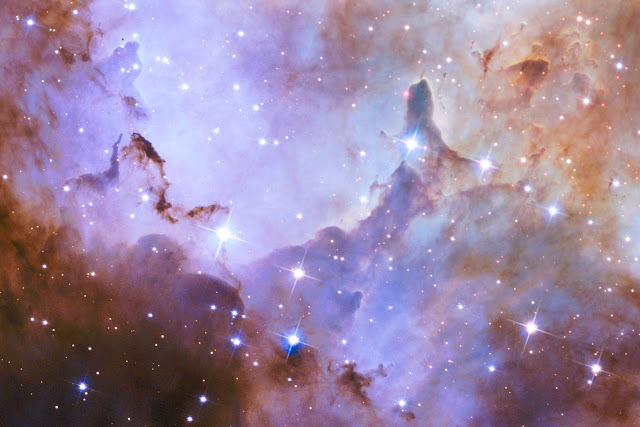 These pillars are composed of dense gas and dust are a few light-years tall and point to the central cluster. They are thought to be incubators for new stars. Besides sculpting the gaseous terrain, intense radiation from the most brilliant of the cluster stars is creating a successive generation of baby stars.